In this article, I am explaining what do to when AirPlay is not working properly and how to fix common AirPlay problems in macOS and iOS. AirPlay lets users wirelessly stream or mirror content (musics, videos, screens or photos) between AirPlay enabled devices (iOS devices, Apple TV etc.). It also allows you to stream music to any compatible speakers. Yesterday, I was trying to AirPlay a video (a Netflix movie) from my iPad device to our Apple TV. But it did not work. I kept seeing “Looking for Apple TV”. After completing a few basic troubleshooting techniques, I was able to fix the problem. You may be also experiencing similar problems. AirPlay (formerly called AirTunes) is a wireless transmission technology. Apple developed this technology. An essential requirement is that sending (e.g., iOS devices running iOS 4.2 or later) and receiving (including AirPort Express) devices need to be compatible with AirPlay. You can update your iPad, iPod touch or iPhone wirelessly by going to Settings > General > Software Update. If there is an update available, update your device. You can update the tvOS software on your Apple TV by going to Settings > System > Software Updates > Update Software. If there is an update, follow the instructions to update your Apple TV. Not you may want to turn on Automatic Updates so that your Apple TV updates are done automatically by going to Settings > System > Software Updates then enable Automatically Update. Restart your Router. Also update your router’s firmware. Make sure that your Apple TV has an Internet connection. Make sure that your iOS device is not set to Silent. Check the Ring/Silent switch which is located on the left side of your iOS device. On your iOS device, enable Airplane Mode and wait a few seconds, and then disable. AirPlay lets you stream (or mirror) your videos from your Mac to your TV. See also: You Mac is freezing? Make sure that your Mac supports AirPlay. To check this, Apple menu > System Preferences > Displays. Do you see the “Show mirroring options in the menu bar when available” option? If you do, then your Mac supports Airplay. 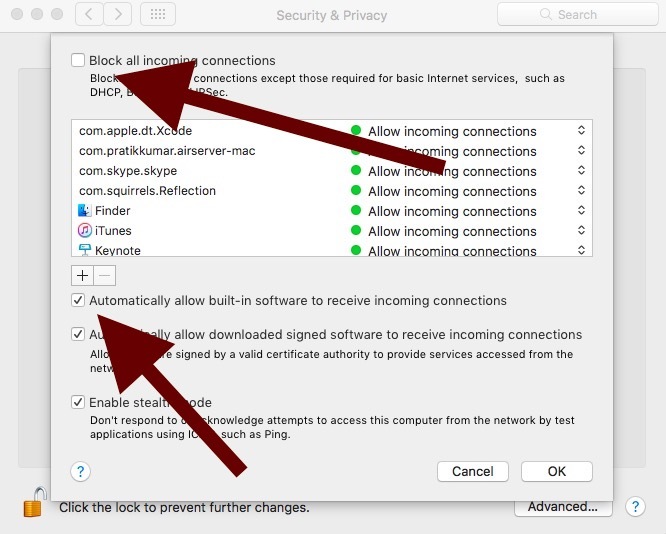 Make sure that your Mac is on the same network connection as your Apple TV. On our Apple TV, go to Settings > Network. On your Mac, go to click the Wi-Fi icon in your menu bar. Are they the same? Update your Apple TV ( Settings > System > Software Updates > Update Software). If you think video, screen quality is low, then you may want to adjust your display settings on your HDTV. Update your Router. Check its documentation. Install software updates for your Mac. Open the Mac App store and click Updates. On your Mac, turn off Wi-Fi and turn back on. The problem with AirPlay is something in its overly sensitive wifi protocols (or whatever signally it uses if it only uses wifi to establish and then handoff). I’ve been having issues with AirPlay more and more (probably because the airspace gets more wifi in it over the years as neighbors and new gadgets show up. I’d start streaming via airplay from youtube and often, at some random point, the airplay connection just drops. Then I have to pick up the phone, unlock it, re-enable the connection (after some long winded delay as the phone spun trying to do that). Of course the youtube feed changes on commercial injection (from your program to the commercial, then back to the program.. each change often glitches the airplay connection as well). So thats the general ‘dropped the airplay connection’ issue. The AppleTV has the general problem of getting janked up from streaming podcasts. Watching video podcasts – I can typically watch one or two episodes than the ATV stops streaming buffering and just stutters and locks up – requires a reboot of the ATV. Additionally from time to time the ATV dissappears (for airplay)… worked but suddenly the phone cannot find the ATV to do airplay. Wifi is still fine. Requires reboot of the phone and/or ATV.. not clear why which device is key to the issue. The whole ATV and Airplay stuff worked when it was new, but over time the sustainability of the connection and the playback for streaming has gone downhill. Thumbs down on Apple TV and AirPlay. The solution is: stop using ATV, and switch to something else because in the past 2+ years it has gotten worse, not better.